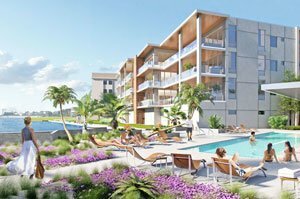 Oceane is a high-end residential condominium complex that takes condos for sale in Siesta Key to a whole new level of luxury. It sits on a coveted waterfront parcel on the northern end of the eight-mile long island, occupying the block of 4740 Ocean Boulevard right between the two upscale condominiums of Windward Passage and Siesta Towers. The Oceane site is a quiet neighborhood overall, with single family homes dominating its eastern periphery. Be that as it may, this condominium is also convenient to the vibrant and charming Siesta Village, the island’s main commercial hub which is less than half a mile south of Oceane. The recent add-ons to the Siesta Key Beach include a pedestrian esplanade on the beach, new tennis courts and over 20 picnic shelters, plus a sandcastle-inspired playground. The park’s historic pavilion has also been restored and converted into an area for public gatherings to complement the new building in the beach for concessions, public safety support facilities and restrooms. Much like this beach park’s exhaustive makeover, the development of Oceane too has been meticulous and purposive to capture the most out of its superior island setting. 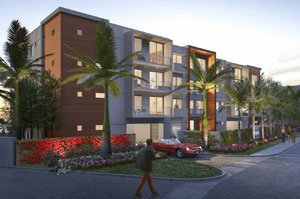 This condominium comes as a gated enclave with a three-story residential building distinctive in its coastal contemporary design. A robust seawall protects the property’s waterfront from high tides waves storm-driven, in the process allowing lower insurance costs. Oceane offers all the refined trappings which are prerequisites for an island resort lifestyle. Its common areas include a gulf-side swimming pool, spa, cabanas, and a private beach club. The lush landscaping of the complex jibes with the property’s scenic water views to help set the tone for Oceane’s tropical paradise theme. 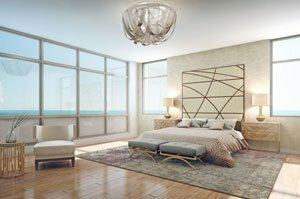 Hallmark to its exclusivity, Oceane is comprised of just six condo units designed with floor plans averaging about 4,500 square feet, featuring four bedrooms, four baths and a half bath. In the MLS listing of Siesta Key condos for sale, their price quotes are between $3.8 million and $4.5 million. Oceane condos for sale brim with premium exterior and interior finishes. The expansive terraces of each of these residence offer water views encompassing the visual splendor of the Gulf and Big Pass leading northwards to Sarasota Bay. Additionally, owning one of Oceane’s units brings such luxuries as a grand room with a fireplace, scenic floor-to-ceiling windows, and a gourmet kitchen with Italian cabinetry. Efficiency in energy use is also built into Oceane condos for sale. The green features of each unit include high-impact insulated windows, recirculating instant hot water, HVAC air-conditioning and LEED recessing lighting. These energy-efficient units are likewise equipped with smart home gadgets enabling integrated controls for lighting, entertainment, cooling, and security. All the outstanding features of Oceane condos for sale are the product of masterful planning by its developer, Crossgate Partners. 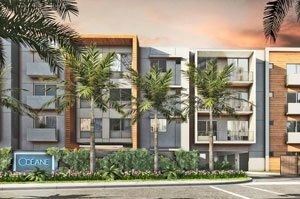 This Atlanta-based company was notably also behind the development of the best-selling luxury condominium Infinity in Longboat Key where high-end condos along with those in Siesta Key form many of the kingpins for the Sarasota real estate market. Below are the current real estate listings available at Oceane.